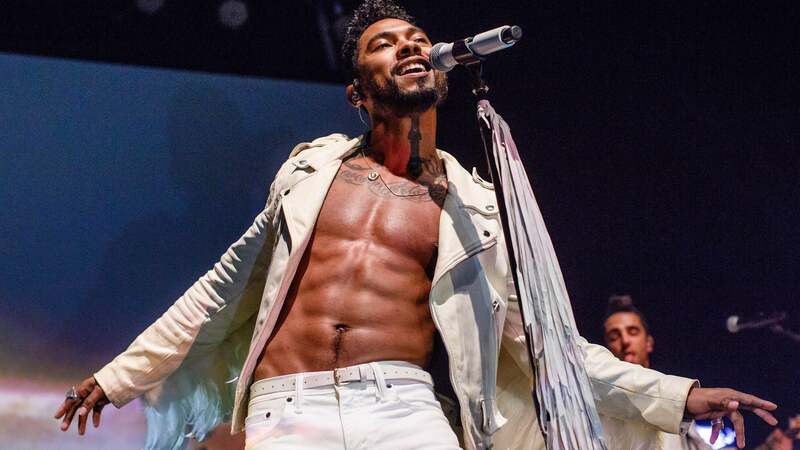 A.S. Concerts and Events announced today that Grammy Award-winning R&B artist Miguel will headline UCSD’s 2016 Sun God Festival. Opening the event for Miguel will be African-Norwegian afrobeat duo Nico and Vinz, Great Good Fine Ok and Battle of the Bands student-winner Paradise. ASCE Director Christian Walker also told the UCSD Guardian that a secret, fifth artist will be announced closer to the date of the event. The singer-producer has also collaborated with critically acclaimed artists in the past, such as Kendrick Lamar, Chris Brown, Future, J. Cole, The Weeknd, Travis Scott and Lenny Kravitz, among others. Nico and Vinz, formerly known as Envy, are a hip-hop/R&B group based in Oslo, Norway who broke out internationally with their 2013 hit “Am I Wrong,” which peaked at No. 4 on the Billboard Hot 100. The duo released their most recent EP, “Cornerstone,” this past October along with their single “That’s How You Know,” featuring Kid Ink and Bebe Rexha, which reached No. 2 on music charts in both Norway and Australia. Great Good Fine Ok is a synthpop group based in Brooklyn whose 2013 single “You’re The One For Me” garnered a significant online following before reaching No. 1 on Hype Machine twice in one month. Following the success of its first EP, “Body Diamond,” the group released its second EP, “2M2H,” which quickly reached No. 10 on the iTunes dance chart. In addition to supporting well-known performers such as Tove Lo, X Ambassadors and Joywave, the indie pop duo was featured on the 2015 single “Let You Go” by The Chainsmokers. The song, which they co-wrote and performed, premiered in Billboard and has since been remixed by A-trak and Tiesto. In September, the group independently released “Take It or Leave It,” a song that, according to DCW 50, received over a million Spotify plays in the span of one month. Great Good Fine Ok’s most recent release, “Already Love,” was made available on March 1. Paradise, who won ASCE’s Battle of the Bands 2016 and the opportunity to perform at Sun God, is a singer-writer-guitarist from Santa Cruz whose music is described on her SoundCloud page as having “a unique sound of acoustic folk and pop rock.” She told the Guardian that the chance to speak with established artists is as exciting to her as the performance itself. Her musical inspirations include No Doubt, Muse, Maroon 5, Jason Mraz, Black Eyed Peas, Shakira, Britney Spears and Coldplay. Walker told the Guardian that his team did its best to curate a musical lineup that could appeal to the diverse tastes of UCSD’s student body, which it deduced from the results of the entertainment survey it put out earlier this year. Walker also revealed that the Festivals team has had to organize Sun God with fewer funds than it has had in the past, and he applauds the artists it was able to book. Moreover, with the festival now taking place during the day rather than at night, members of ASCE kept this in mind as they made decisions about which artists to pursue. Though the organization collaborates with the university, Walker clarified that students, not administrators, have the final say over which performers it ends up booking. The 2016 Sun God Festival will take place on Saturday, April 30 between 12 p.m. and 6 p.m. All UCSD undergraduates qualify for free admission if they register online for the event before April 26 at 11:59 p.m. However, according to the event’s Facebook page, registration is limited to the capacity of RIMAC Field and will thus occur on a first-come, first-serve basis. Students’ UCSD identification cards will serve as their tickets into the festival, but re-entry will not be allowed. Additional reporting by Arts & Entertainment Editor Karly Nisson.